Before we get to the main topic, which is health insurance, let us tackle first about personal finance. Personal finance is very important because by definition it is an application of the principles of money management and finance of individuals or a family. This involves various processes such as how they get budget, and how to save and spend money and other financial resources wisely over time. With the thought of securing our future (financial risks and future life events) we think of opening a check or savings account, get a retirement plan, invest in stock market, secure an insurance plan, get social security benefits, and manage our income taxes. 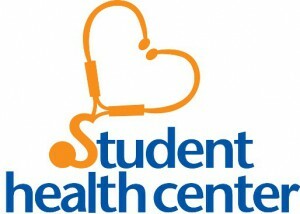 The reality is that students often don’t have health insurance. This is because they can’t afford any, unlike working individuals that gets employer-sponsored health insurances. Another reason is maybe that they have pre-existing conditions hindering them in getting one. Though many colleges offer health care plans for their students, these plans tend to have very limited coverage. This act aims to provide cheap health insurances to Americans most especially student’s who often encounters high expenses for their education. Affordable Health Care Act introduced provisions where the dependents can be covered by their parents’ health insurance until they reach age of 26. This law will also ensure students to have more control over their health care plans and receive equal privileges as other demographics. Health is the most unstable part of our budget so to speak. Opening a health care savings account will really be a great part with your personal finance aside from health insurance. Not having a health insurance plan and a health care savings account might cause you financial disasters. You may end up scratching your head with all the medicals bills without any aid from health plans and savings when you need them the most. Basic health savings account rules include contribution limits, qualified expenses and eligibility. Eligibility – To be eligible you must have a HDHP or high deductible health plan ($1,200 – $5,950 for individual filers and $2,400 – $11,900 for those filing as a family. Contribution (2011) – Increase and decrease of contribution limits are indexed with inflation. Contribution limits are $3,050 for individuals and $6,150 for family. Members 55 years old and above will have an additional $1,000 to the amount as their catch-up limit. Qualified Expenses – These are expenses with diagnosis, cure, treatment, mitigation or prevention of disease. This also includes fees with doctors and also cost of equipments and supplies. A new rule exists that only medicines with prescriptions are the only ones that can be covered by your HSA. Expenses on over the counter drugs will no longer be shouldered. As a tip, you may have to look for the best instant access savings accounts because these are great source of ready cash. This type of savings account allows you to take money instantly thus the name instant access. Another avenue for funding is to look into a 529 college savings plan today. You might as well also have a word with financial planning consultants to help you furnish a great personal finance for you and your family’s wealth. All of these may involve a considerable amount of money but it’s really worth it. Think of it as cost versus efficiency where you can have the best from both.